Brief Description: International scholarship is open to anyone who wants to pursue his/her Master’s or PhD program. There are a lot of open applications which you can apply. Manitoba University in Canada is one of them. For students who want to pursue Master’s or PhD program, Manitoba University in Canada is offering High Potential Scholarship, a great opportunity for international students to continue their study for Masters or PhD Degrees in one of the finest University in Canada, Manitoba University. This scholarship is open to international, talented students regardless of citizen, Students with a minimum GPA of 3.75 (above B+) at a recognized university based on a Bachelor, Masters, Graduate Diploma or a Doctoral degree, are eligible to apply; i.e. last 60 credit hours or equivalent. To calculate your GPA, Please use admissions criteria. Students are eligible to receive the UMGF for the first 24 months of their Master’s program and the first 48 months of their PhD program. Total maximum UMGF support for any individual graduate student is 48 months. The new values for this award are $14,000 and $18,000 for Master’s and PhD respectively. So, if you are interested in applying to this highly valuable experience that might change your perspective toward the international circumstances, the application form can be downloaded from Manitoba University’s official webpage and you must follow the requirements carefully, without skipping any regulations. Students in all fields of graduate study (with the exception of those in the College of Medicine and in the Master of Business Administration [MBA]) are eligible to apply for this international scholarship. Those interested in this program, should check out Manitoba University’s website and read all the information thoroughly without anything being skipped over. Plans and many other necessary details related to this international scholarship in High Potential Scholarship of Manitoba University, Canada. Ultimately, the proper procedure to receive High Potential Scholarship offered by Manitoba University is to send in the scholarship application at the same time when you apply for the study program you have selected. That is recommended by the university to do so. In fact, it must be understood that each faculty has a different form of application. So, be a clever applicant and always remember to understand the regulation very well, in order to avoid any mistake that can possibly lead to a great loss. Now that all the information about international scholarship with High Potential Scholarship in Manitoba University has been delivered nicely; talented students who are eager to pursue their Master’s or PhD program at Manitoba University in Canada can apply. 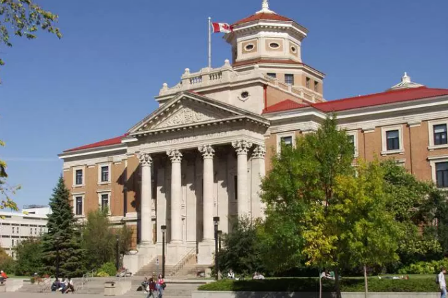 Now that all the information about International Scholarship at the University of Manitoba in Canada has been delivered nicely; talented students who are eager to pursue their Free Tuition/Scholarships/Study In Canada for Undergraduate Bachelors, Associate Degree and Other Degrees, can apply now. Please go through the information above, you will see guidelines to apply. Read the information well, you will get all details and direction to apply. If you encounter any problem, please let us know.